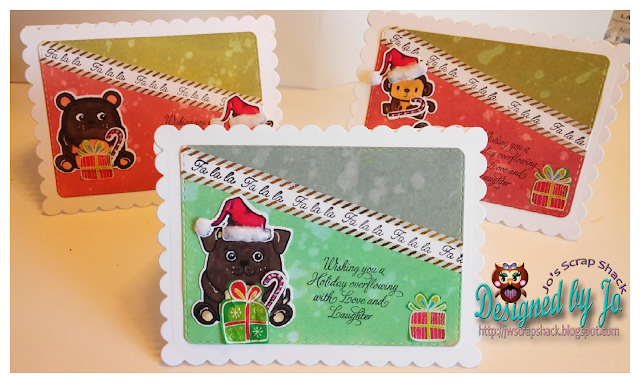 ~Jo's Scrap Shack~: Cards for Little Hearts Card Drive Blog Hop & Giveaway! Cards for Little Hearts Card Drive Blog Hop & Giveaway! Oh boy am I excited for this post!!! But please note, this is my 2nd post today so if you are looking for the Dies R Us Challenge, click here. Ok so why am I so excited for this post? Well because today I am honored to be participating in a huge blog hop for the Cards for Little Hearts Card Drive!!!! The purpose of Cards for Little Hearts is to collect handmade cards for the Heart Center staff at Nationwide Children’s Hospital to distribute to children with congenital heart disease and to help lift their spirits while they are hospitalized for major heart surgery or are having a particularly tough time. Thank you so much to everyone that helped send in cards for the last card drive. What an incredible turnout! Because of your generosity and kindness, we were able to bring smiles and heartwarming encouragement to 364 heart patients and their families in February during National Heart Month!!!! What an amazing gift you all gave to these families!! So we are doing it again and I hope you will definitely join in on the cause with me! This card drive is opens to both U.S. and International participants. Anyone is welcome to help make the cards, including children, grandchildren and students. For a complete list of guidelines for this card drive, including the mailing address for your cards please click here. So if you started hopping at the beginning of the hop, then you are in the right place as I am stop #2 on the hop! Therefore, you should have arrived from Christina's blog! When Christina had asked me to be a participant in this card drive, I said yes right away. I was completely honored and immediately knew that I needed to be involved. Children have a very special place in my heart, they always have.... and I am grateful to be participating and proudly sponsoring this card drive. How can you win some prizes???? Go here and scroll down the page! Your next stop on the hop is Edwina's Blog!!! And in case ya get lost along the way, here is a list of each participant's blogs that are in the hop. If you are just stumbling upon us, please start at the beginning so that you can follow along much easier. Don't forget to leave your comments and subscribe for your chance to win some amazing prizes!!!! #kindnessstartswithyou. 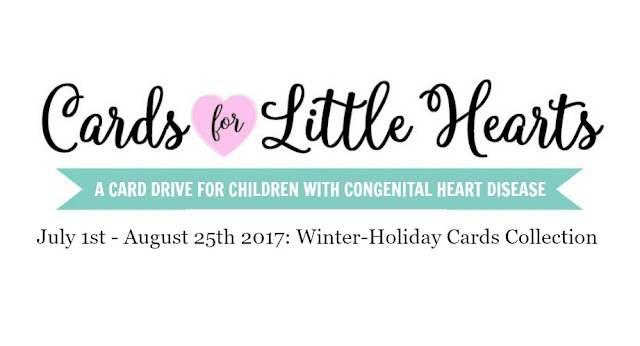 Please share about Cards for Little Hearts Card Drive and help brighten a child's day by displaying the card drive banner on your blog. Please use hashtag #cardsforlittleheartscarddrive when sharing on social media. Thank you for sharing. Jo your cards are so stinking cute! I love the adorable critters on your cards! Thanks for participating in this wonderful Card Drive for the children!! Jo your cards are all so adorable with those cute as can be critters! Thanks for participating in this Card Drive for the Children! Super darling cards with those cute images on them. Perfect for the kids to receive. Hi Jo! Oh these critters are so adorable! I love the colors and the sketch layout. I confuss I can't follow a sketch. It's like solving a puzzle. So I think I'll stick to CAS. LOL. Jo, it is truly a joy and honor having you part of the team. I can't thank you enough for your help despite all that you are going through right now. You are so strong and I truly admire your strength and of your beautiful big kind heart. May your week is beautiful and calm Jo. Have a lovely evening. Hugs. What child doesn't just LOVE animals of all sorts, so your cards will certainly be loved by the recipients, Jo. 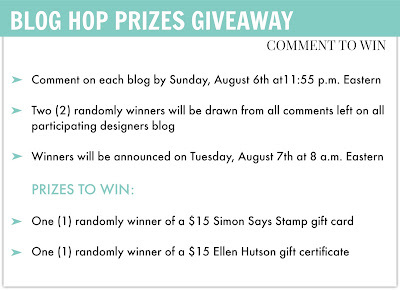 Thanks for sharing and being a part of this awesome blog hop. I will try to make cards! These images are just too cute, your cards are wonderful. These animals are so cute they made me smile, I must be a kid at heart. 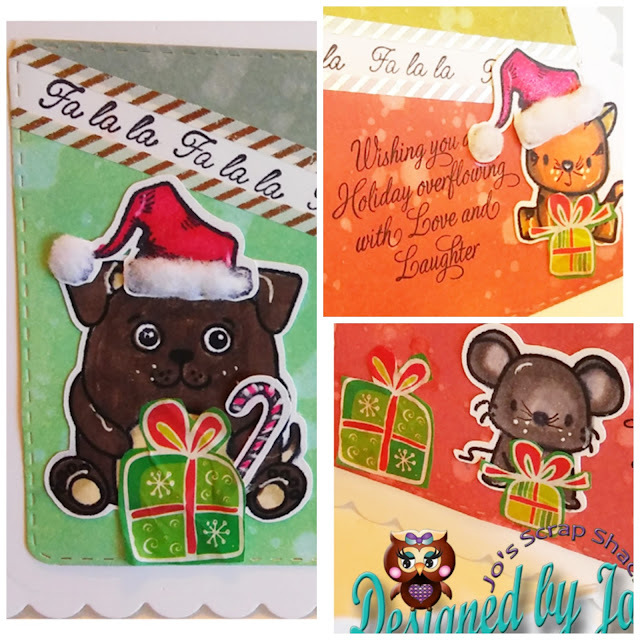 Great blog hop and card drive. Oh WOW! Your cards are sooo stinkin' CUTE Jo! They are adorable & just perfect for this occasion! Have a wonderful day! Love all your sweet critter cards and I am sure the children will love them too! Thanks for participating with us on this wonderful card drive for the children! What adorable cards, and for a very good cause. Thanks for sharing. Such cute cards Jo!!! They are adorable and the kids will love them! Your cards are just fabulous! Great cause. I think these cards are adorable! the santa hat and candy canes were such nice additions. I know that these are going to definitely brighten someone's day! thanks for making a difference! Your cards are adorable! And what an awesome thing to do to cheer someone who is in the hospital, especially at holiday time blessings to you all for doing his car drive! This are soooo cute! Those little critters are wonderful! Love the layout and bright colors. Perfect cards for kids of all ages! Super cute! I'm sure the kids will smile when they get these cards! Cute and fun cards for kids! These are adorable and will make someone very happy! I absolutely ADORE the super cute critters! !Love that you dressed them up with santa hats!Too cute! !Adorable cards and I know the kids will absolutely love them!Such a wonderful cause. You are AMAZING my friend!! Tons of love & hugs! Love your cute animal cards! I like the layout you used also. I'm sure the kids will love them! !!! These cards are super adorable! Great use of the washi. Thanks for sharing this wonderful idea! Jo, your critters are adorable, and I love the layout you created. The washi strips are perfect embellishments. You are sure to share much encouragement with these sweet cards! I love the adorable critters. The sparkly Santa hats are so CUTE!Super cute cards my friend. They will absolutely love them! A wonderful cause! You are AWESOME! Oh, those little guys are really adorable!! Your cards are all adorable!! I love the cute critters with the sparkly Santa hats and cute sentiments! !Wonderful cause my friend! !The kids will LOVE them! Fantastic card and a beautiful design to showcase them. Great work! They are super adorable cards!